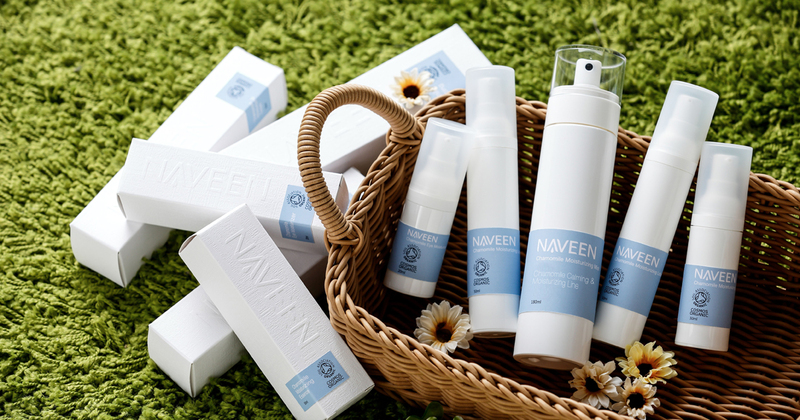 NAVEEN Chamomile Moisturizing Essence restores luster and increase collagen synthesis for a smoother complexion with added brilliance and intense hydration that lasts. 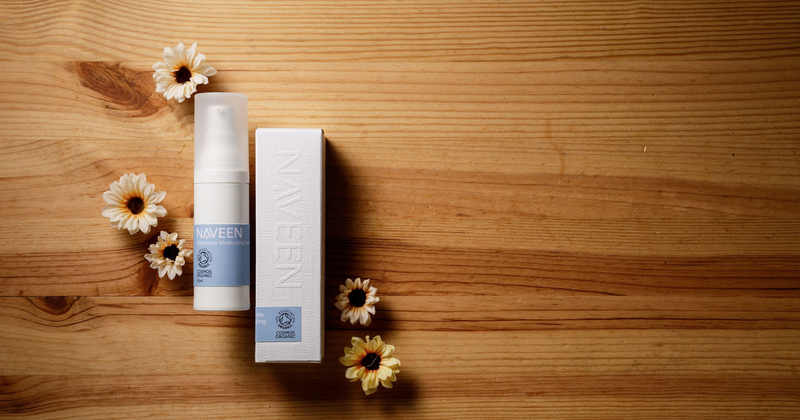 Formulated with natural Hyaluronic Acid that is known for its moisturising properties. 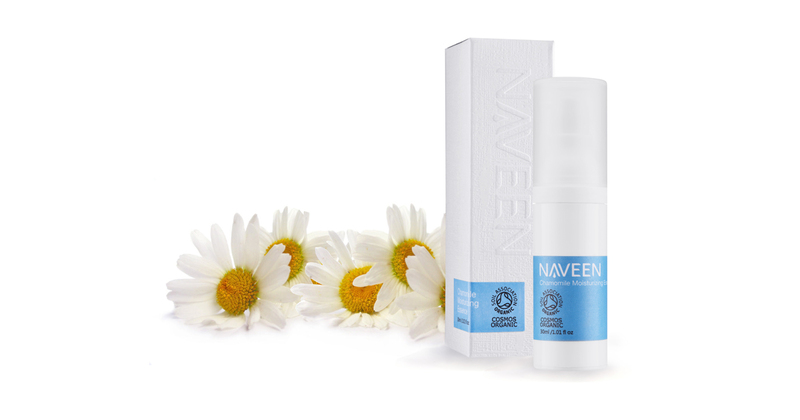 It penetrates deep into the skin to improve cells’ capacity in retaining essential moisture. Helps to boost skin’s inner resilience for poreless-looking bouncy skin with ultimate radiance. Skin is plump, firmer and supple. Its lightweight texture makes it easy and comfortable to use even in hot and humid weather. 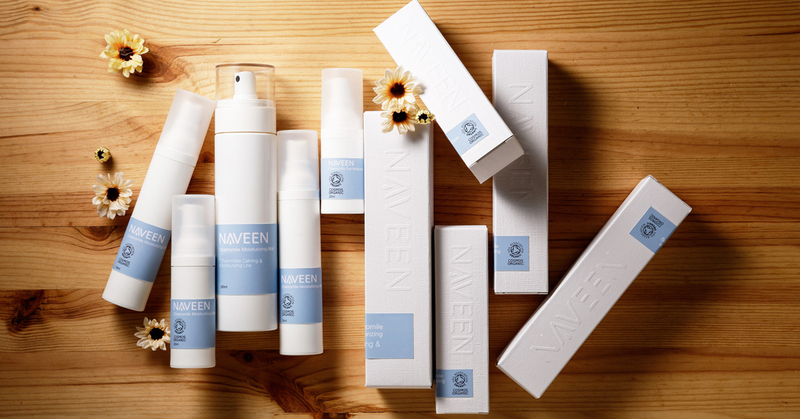 Certified Organic Lavender Water and Oil – Intense rehydrators replenish vital moisture with a pleasant scent. 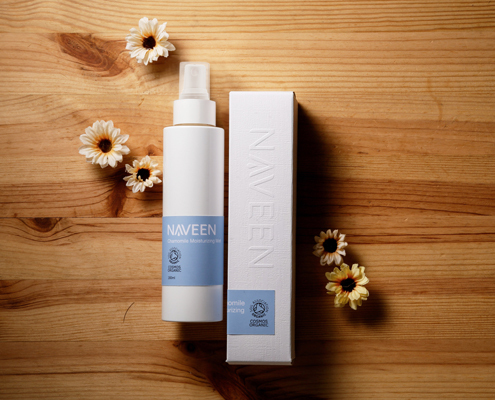 Known for its aroma therapeutic, balancing and soothing fragrance. It has a calming effect on the nervous system and helps treat skin conditions aggravated by stress. Certified Organic Chamomile Flower Water – Best known for its ability to calm and ease with a fruity floral aroma. The extract distilled from Chamomile possess soothing, healing and anti-inflammatory properties. Sodium Hyaluronate – The sodium salt of Hyaluronic Acid. It is used as a moisturizing agent. It forms a transparent film on the skin which has a soothing and lubricating action. It is a powerful humectant as it is capable of binding 1,800 times its own weight in water. COSMOS ORGANIC Certified, protect your skin the non-GMO way.